At least six people were killed, including two children, after a suicide bomber detonated an explosives-laden vehicle outside a district headquarters in Somalia's capital. Capt. Mohamed Hussein said the bomber tried to speed through a checkpoint but was stopped by security forces, prompting him to detonate the vehicle near the gate of Howlwadag district headquarters. Fourteen people, including six children, need intensive care, said the Aamin Ambulance service. Among the wounded was deputy district commissioner Ibrah Hassan Matan. Many victims were students at a nearby Islamic school. Officials warned there could be more casualties as the blast brought down nearby buildings including a mosque. 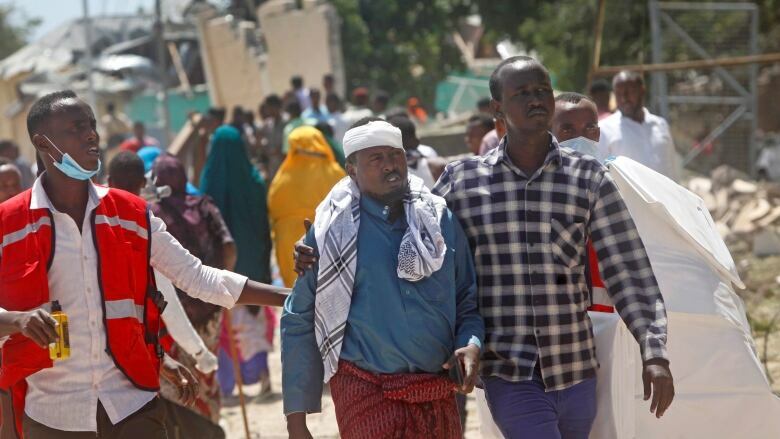 The attacker "literally failed to achieve their goal of inflicting maximum casualties," police captain Hussein said, accusing the al-Qaeda-linked extremist group al-Shabaab of carrying out the attack. There was no immediate claim of responsibility for the explosion, which shattered a period of calm in seaside Mogadishu. 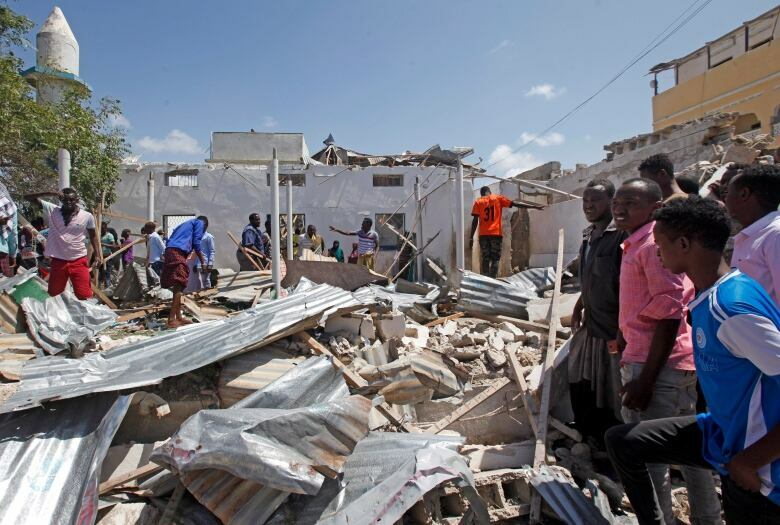 The Somalia-based al-Shabaab often targets the capital with bombings, including a truck bombing in October that left at least 512 people dead. Somali troops are meant to take over the Horn of Africa nation's security in the coming years from an African Union force but concerns about their readiness remain high. The U.N. Security Council recently voted to delay the reduction of troops in the AU force from October to February and the target date to hand over security to Somali forces to December 2021.